Note: Images of priests are generic. Dates are generally those served as rector. Some early dates are open to question. There were no surnames as such for most people before the 15th century. They were often named from their trade eg. Walter the Chaplain, or from their place of birth or residence eg. Robert de Acton. These epithets developed into surnames by the 15th century or later. See also the Notes at the foot of this page. Stirchley Church was built around the middle of the 12th century. The chancel is the oldest part of the present building and dates from about 1150; the work was almost certainly sponsored by the lord of Stirchley manor. This church would have been set up initially as a chapel-of-ease of St Andrew's Church, Shifnal, which was too far away for the people of Stirchley to attend Sunday service especially in the winter months. Shifnal Church was almost certainly a minster church of Anglo-Saxon origin. In its earliest days Stirchley church was probably served by a curate from Shifnal. c1220- before 1238 Walter, Chaplain of Stirchley, the first recorded priest of Stirchley church. He signed his name attesting a deed sometime after 1220, styling himself 'chaplain of Stirchley'. He is likely to have been a curate from Shifnal of which Stirchley was still a chapel-of-ease. However, he almost certainly lived at Stirchley. The living was vacant in 1238, which may have been the date when Walter either left or died. Or it may be the date at which Stirchley became an independent parish. 1247- before 1253 Robert de Acton, clerk. Robert was born of an established Shropshire family. A manorial deed survives from 1247 witnessed by Robert in which he signed himself as 'clerk', a term which was then used to mean a clergyman.By Robert's time Stirchley was probably a parish in its own right independent of Shifnal, as Robert styled himself 'Parson of Stirchley' in a duplicate document. Robert was the incumbent of the parish of Fitz in 1254 but left in 1256 as a result of a tangled court case at Westminster between the Canons of St Mary's Abbey, Shrewsbury and the Abbot of Haughmond Abbey who disputed the jurisdiction of the chapel at Fitz. Robert de Acton, who had held it of the Abbot, surrendered the incumbency though not without a delay. However, the dispute still went on until at last, the question was referred to a 'wager of battle'. It is unlikely that Robert was personally involved in this. The Abbot's champion was victorious, and by a writ of 1256, the Crown ordered the Bishop to admit the Abbot's nominee as rector. Robert was also the Parson of Acton Burnell and later the Deputy-Sheriff of Shropshire and a Crusader. His two known sons were also parsons of Acton Burnell and a grandson was also a priest. In 1256 Roger is known to have been the 'Parson of Stirchley'. Roger attested a grant to Wenlock Priory about the middle of the 13th century, and in 1272 he was involved in a complex court case involving land and houses that he had received from a person who was not entitled to them. The court ordered Roger to return the property, but granted him the right to take legal action against the third party. Around 1283 Richard was the Parson of Stirchley. After Easter 1283 the Prior of Repindon (now Repton, Derbyshire) charged John, the Prior of Wenlock and his accomplices with coming by night to Repindon and seizing goods to the value of 1000 marks. One of those accomplices was Richard, Parson of Stirchley. It is hard to imagine what they could have taken. One mark had the value of two thirds of a pound, 13s. 4d (13 shillings 4 pence). In terms of modern purchasing power 1000 marks would be the equivalent now of some £300 000. The defendants did not appear at the trial. However, local brothers, Elyas and Roger de Ketley agreed to stand surety for Parson Richard. In 1291 the rector’s annual salary was £2 13s 4d. In modern values his earnings amount to approximately £30 000 per annum. The rector had 45½ acres of his own glebe land, a large endowment in relation to the relatively small size of the parish, which measured just 829 acres. And in addition to this he was also entitled to one tenth of the produce of his parishioners largely to be paid in kind. 1310 Roger de Esthop, rector, resigned 13 January 1310. He appears to have been the overlord of the manor of Easthope near Much Wenlock. 1310-1349 Walter de Perton On 17 March 1310 Walter de Perton, acolyte, was instituted at the presentation of the Prior and Convent of Wenlock. Walter was born into a wealthy landed family, owners of the Stirchley Hall estate; his brother was knighted by Edward III at the siege of Calais and was Sheriff of Staffordshire on more than one occasion. In 1329 Walter also became the Prebendary of St Michael's Church, Tettenhall. Walter married Margery de Stirchley and appears to have lived at Stirchley. The following year he was being sued for a debt of 9 marks/ c£250. It seems that Walter's bishop had ignored the request to produce him to answer the charge. The year after that Walter was charged with the murder of one John de Derleye of Derbyshire. However, the Sheriff of Derbyshire appears to have made no attempt to arrest him. Sir Walter de Perton, Rector of Stirchley, died on Sunday 22 February 1349. There is a record from Madeley that the Rector there, John Aaron, who became also Rector of Broseley chapel, was assisted in 1344 by John of Stirchley, the parochial chaplain. Whether this implies that he was also a priest at Stirchley, or that he was of the 13th-century manorial de Stirchley family, or that he just came from Stirchley is not known. 1349-1349 Richard le Bret, chaplain, was admitted to the living by the Bishop on 10 March 1349. However, Richard died just 3 months later on Monday 22 June 1349, almost certainly a victim of the Black Death which was then at its height. 1349 Thomas de Wiky was instituted on 23 July 1349. On 14 September that year, Thomas, Rector of Stirchley, was allowed to be non-resident, for a year, that he might devote himself to the services of Sir Roger le Strange, knight. But in the course of the next month he vacated Stirchley by accepting the Vicarage of Ellesmere. 1350 Richard de Coton, clerk, who was born before 1336 in the village of Coton in Shropshire, was instituted on 8 March 1350. Richard was born of a landed Shropshire family and was related to many of the local gentry families. 1360-1369 Philip de Harley was born in 1282. Sir Philip de Harley, priest, was one of a landed Shropshire family. He was presented as the Rector of Willey in January 1324 by the Prior and Convent of Wenlock, on the nomination of his mother Dame Burga de Harley. From c1344 he was steward to Wenlock Priory, the patron of the living of Stirchley. He was presented by the Priory and instituted as Rector of Stirchley on 19 December 1360. He became the Rector of Stockton in 1369. He also appears to have been Parson of the Rushbury church at the same date. 1369 Adam de Knyghteley, Priest, was instituted to Stirchley, the King presenting as he had Wenlock Priory in hand at that time. 1370-1378 John Walssh, Priest, was admitted as Rector on August 1370 nominated by the Crown. He died in 1377 in post. 1378-1382 John Long, was instituted on 3 February 1378. He died in post in 1382. In 1380 the value of the rector's living was £5. In modern terms this amounts to an annual salary of some £26 000. 1382-1400 John de Besselow was instituted on 23 October 1382 presented by the Crown. John was of the manorial family of Beslow near Shrewsbury. In 1400 John exchanged this living with William Spark for that of Wolstanton near Newcastle-under-Lyme in Staffordshire. However, only one year later he had moved on to Woolstaston in Shropshire. That same year he was appointed by the canons of Shrewsbury as vicar of the Church of the Holy Cross, which was at that time the Abbey church. However, his tenure was to last just 18 months. John died in September 1402. Much of the above information is from: Rev Robert Eyton 1854 Antiquities of Shropshire on the Internet Archive - http://www.archive.org/details/antiquitiesshro08eytogoog. 1400-1410 William Spark. In September 1410 William is known to have been appointed the vicar of Clifton-on-Teme, Worcestershire in the Diocese of Hereford. The reason for his appointment was the result of an exchange with the Vicar of Clifton, William Overton, who then became the Rector of St James'. 1410-1416 William Overton, had served at Clifton for only one year, previously having been the Rector of Abberley. 1416-1474 Richard Withgys was the first of five rectors between the 15th and 19th centuries to hold the living for more than 40 years. Richard served here for 58 years. There is no record of the rectors at Stirchley during the first part of the 16th century. John Poynor was the Rector at the time of the upheavals caused by Henry VIII's spilt with Rome in 1533. The King ordered a survey of the finances of all the churches in the country known as the Valor Ecclesiasticus. In 1535 the value of the rector's living here was £6 13s 3d, some £31 000 in modern terms. John died in 1554. 1554-1573 Thomas Banes/ Baynes. Thomas became Rector in the second year of the reign of Queen Mary who re-established Roman Catholicism as the state religion immediately after her accession the previous year. Thomas is likely to have been born in Roman Catholic England and witnessed, probably as a child, King Henry VIII's break with Rome and the subsequent radical protestantism of Edward VI. And now he was a Roman Catholic priest again. However, Mary's short reign ended with her death in 1558 and her successor, Queen Elizabeth restored the Church of England to a more moderate Protestantism in the following year. 1566-1576 Christopher Hawkehurste/ Hawxhurst was born at Shrewsbury in 1521. He died in office in 1576 and was buried at St Chad's Church in Shrewsbury. Is there some confusion here? Were they one and the same? 1576-1616 Robert Ball/ Bell, was described in 1603 as having ‘no degree‘, and being ‘no preacher‘. And yet he still served 40 years as Rector. Robert may have been succeeded by another rector whose name is unknown. 1623-1638 David Pugh/ Pughe was previously the Rector of Pontesbury near Shrewsbury. He became Rector here on the death of the previous incumbent, whose details are unknown. In 1628 records show David selling land in Hope in Montgomeryshire. Davis was still the Rector here in 1639 when the living was worth £26, some £48 000 at current values. It is not known what became of him. 1635-1638 William Sowthall was ordained a priest on 1635 by the Bishop of Coventry & Lichfield. In 1639 he is recorded as a curate at Stirchley. There is no record of a rector here after William Sowthall until George Arden took up the post in 1658. This may be due to loss of documentation or it may explained by the troubles of the English Civil Wars 1642–1651 and the establishment of the Commonwealth 1649-60 when many clergy, who were thought by the Puritans to be either inadequate or unsympathetic, were expelled from their parishes. 1658-1679 George Arden, Clerk. His name is on the first page of the first (surviving) Parish Register of Stirchley, a vellum book which still survives. His burial is recorded in it on 23 March 1679. After the Restoration of the Monarchy in 1660, the Act of Uniformity was enacted in 1662 to re-establish the pre-Civil War features of the Church of England many of which had abolished by the Puritans during the Commonwealth. The Act prescribed the form of prayers, sacraments and rites of the Church in line with the Book of Common Prayer and required episcopal ordination for all ministers. Ministers were required to conform. The immediate result was that some 2400 clergymen chose to leave the Church in what became known as the Great Ejection. Clearly the Ardens chose to conform. 1662-1715 George Arden Junior, the longest serving rector, incumbent here for 53 years, a graduate and schoolteacher, he was described as 'an ordinary man, no preacher'. In 1655 it was suggested that the parish of Stirchley could be united with neighbouring Dawley. This did not happen, but an unofficial union had begun by 1655 when George also became curate of Dawley Magna. Thereafter, until 1831, the two parishes were often served by the same priest. In 1705 the rector's living was valued at £30, roughly £50 000 at current values. George Arden, rector c1655-1715, is known to have conformed in 1662 and kept his living but he may nevertheless have been sympathetic to the nonconformist cause, for he received and helped Jonathan Lovel, the ejected curate of Alveley, in 1667. The Stirchley Parish Register records the marriage of George and Jane Paton on Thursday 1 October 1663 at Kingswinford in Staffordshire. On 14 May 1679 George recorded in the Register the death of Jane Arden, uxor mea charissima, 'my dearest wife'. The couple had been married for 16 years. 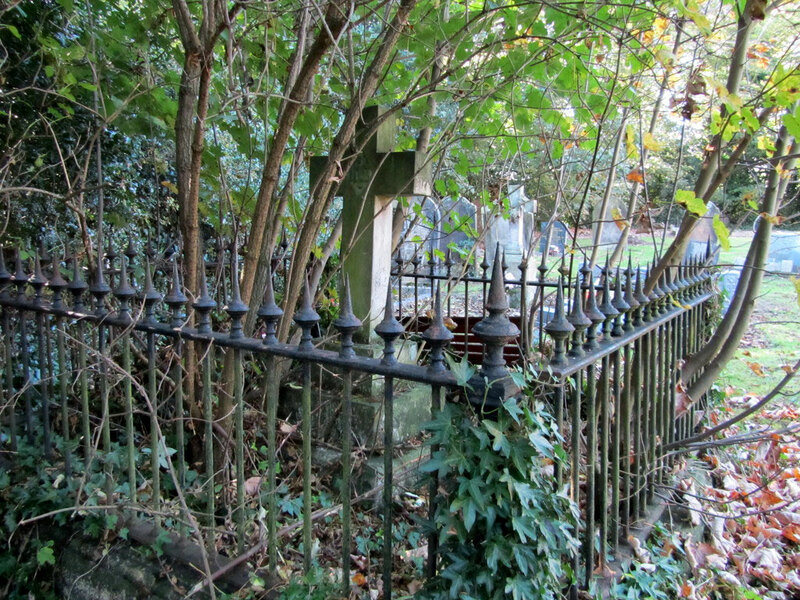 Jane was buried in the churchyard, less than two months after the death of George's father. By 1682 George had remarried. On 24 August of that year at Stirchley Church he baptised his own son, also called George, by his second wife, Anna. In 1683 William was born, in 1685 Maria, in 1688 Anna, and in 1693 John who died at the age of 11 in 1704. 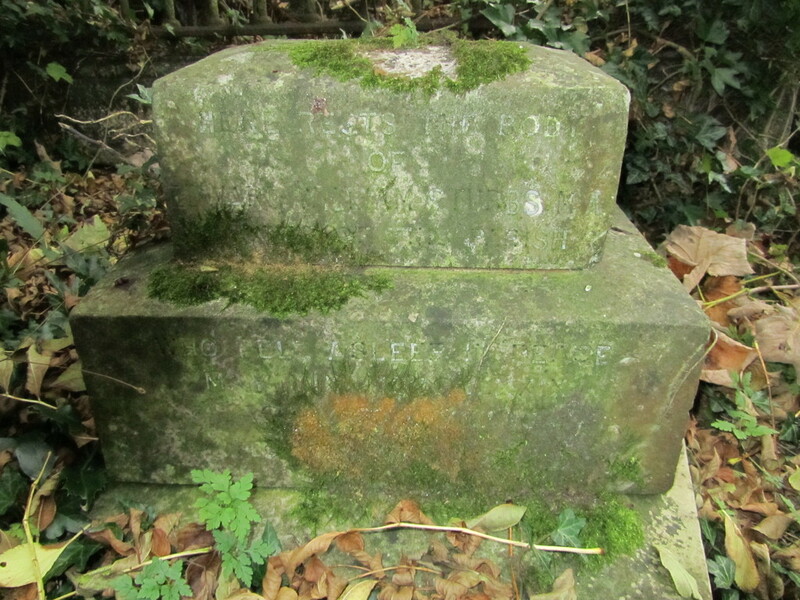 George Arden died and was buried at Stirchley 1 September 1715. His second wife survived him by 23 years. William graduated from Cambridge University in 1699 and was ordained a priest at Lincoln in 1710. He served as vicar of Whitwick, Leicestershire 1710-1715. The advowson of Stirchley church was leased from the patron by William Banks (Senior) of Dawley, yeoman, clearly to enable him to establish his son here. In 1715 on the death of George Arden the living was presented to his son who was inducted as the rector of both Stirchley and Dawley Magna. (William Senior died in 1719.) He is known to have been the schoolmaster from 1718 to 1722 at Dawley Magna and also in 1726 in Stirchley chapelry schools. June 4. The Revd. 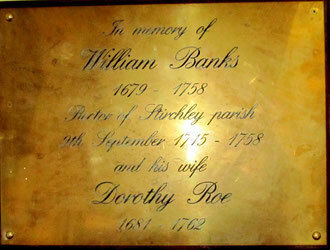 Mr. William Banks, aged 77 years, and was Rector of this place upwards of 40 years ... bur. His wife Dorothy died just four years later. It was during the incumbency of William Banks that the nave was encased and remodelled in brick in the contemporary neo-classical style in about 1740. 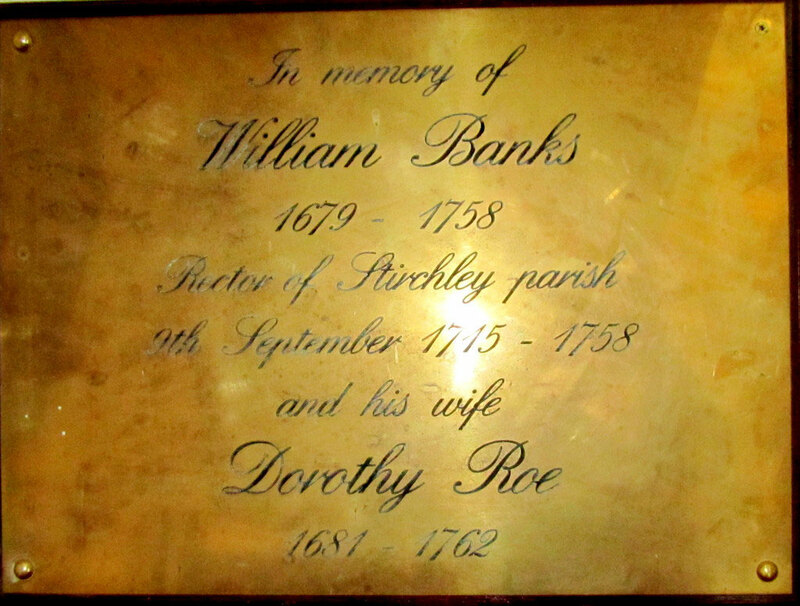 A plaque in the church commemorates William Banks and his wife. 1758-1775 Edward Fosbrooke. Edward was the curate at Dawley 1730-1763. Edward's grandfather had been a priest, his father was the vicar of Diddlebury and rector of Acton Scott, his elder brother the vicar of Cold Weston and his son John would become the vicar of Childerditch in Essex. In 1741, as schoolmaster of ldssal, otherwise Shifnal, he signed his name to a document setting up a charity school in Wem. The marriage to Ann Baldwyn, spinster, of Edward Fosbrooke appears in Parish Register on 20 January 1766. As Edward Fosbrooke Junior was one of the witnesses, it would seem that this was a second marriage. One Lydia Fosbrooke was a witness to a marriage in 1760. It may be that this was Edward's first wife, although there is no record of her death in the Parish Register. In 1772 the value of the rector's living was valued at over £68 000 in modern equivalence. In addition to this the rector received all tithes in kind, that is one tenth of all agricultural produce in the parish. For tithes of calves and milk a monetary sum was paid. In addition the rector had glebe lands of 45½ acres which, for the most part of his tenure, Edward rented to the tenant of Stirchley Hall. Edward died in post and was buried here 29 February 1775. There is something of a mystery regarding Edward. His burial appears twice in the parish register. 1775, Feb. 29. The Revd. 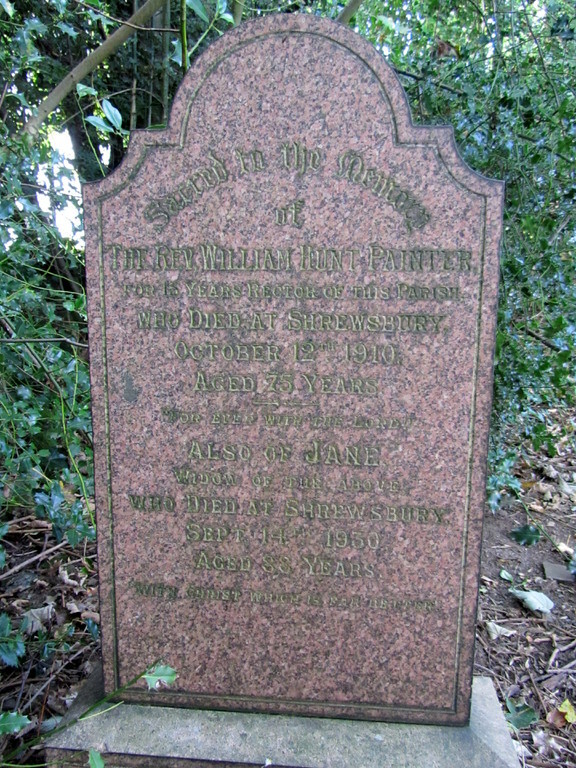 Mr. Fosbrooke, Rector of Stirchley, was ... bur. 1775, Feb. 4. The Revd. Edward Fosbrook, Rector ... bur. It is possible that the earlier date was that of his death, although over three weeks from death to burial seems a very long time at this period. Furthermore 29 Feb 1775 appears to be a leap year day in a year that was not a leap year. 1775 is not divisible by 4, whereas 1776 is. Until 1752 when the present Gregorian calendar was adopted, the first day of the year was Lady Day, 25 March. It may be that the old style calendar continued in use after 1752 perhaps especially for church records. So 1775 would have run from 25 March 1775 to 24 March 1775 old style which is 1776 new style. Thus 1775 would include the leap year day of 29 February 1775 old style or 1776 new style. Years before 1752 are often shown as eg. 1066/1067. 1772-1792 John Rogers, Johannes Rogers, Rector de Stirchley. The Revd. John Rogers, M.A Vicar of Idsall als Shiffnall was instituted to the Rectory of Stirchley upon Thursday the ninth Day of March on the presentation of Sarah Atkis of the City of Chester, Spinster, and Thomas Carter Phillips of Brosley, in the County of Salop, Gent the true and undoubted Patrons in London. by Richard Hurd, Ld. Bishop of Lich. and Coy:- and inducted thereto upon Friday, the thirty-first Day of March, 1775. John Rogers came to Stirchley as a curate to Edward Fosbrooke in 1772 or perhaps earlier. He was of the family of Home in Wentnor. He was formerly the Vicar of Shifnal and also curate of Dawley Magna and later a Justice of the Peace for Shropshire. From 1779 he employed an assistant curate, Roger Clayton who lived at Stirchley and did duty here and at Dawley, and who was to become his successor. He died on 3 March 1792 and was almost certainly buried in the churchyard here. 1792-1827 Roger Clayton, graduate of Emmanuel College Cambridge, curate and later rector. He was the brother-in-law of the industrialist John "Iron-Mad" Wilkinson. Ordained in 1776 by the Bishop of Hereford, Roger's first curacy was at Hope Bowdler. Three years later he took up the curacy at Stirchley under John Rogers. The Revd. Roger Clayton, Clerk, A.M of Wroxeter, was instituted to the Rectory of Stirchley upon Thursday the 17th day of May on the presentation of John Oakeley, of Fir Grove, in the County of Salop. Esq.. and Samuel Sneade, of Ludlow, Clerk in the said County. the true and undoubted Patrons thereof for this turn in London by James Cornwallis Ld. Bishop of Lich: and Cov: and inducted thereto upon Monday, the 28th day of May, 1792. In that same year Roger was also appointed perpetual curate at Dawley. During his incumbency John Turner officiated 1804-1809, and Robert Smith was a curate here in 1812. In 1798 Richard Walter Jones, graduate of Christ Church College Oxford, is recorded here; he was a stipendiary curate. Roger resigned in 1827; he was by then probably in in his seventies. Sometime after 1655 the advowson of the rectory of Stirchley was sold to Rosamund Revell of Shifnal. This gave her the right to put forward a candidate as rector. The advowson descended through the family until, in 1827, it came to Revell and Hugo Moreton Phillips. And in 1827 Hugo became rector on the resignation of the aged Roger Clayton. 1827-1877 Hugo Moreton Phillips was a member of a local Shifnal family, and a graduate of Worcester College Oxford. He was also the Vicar of Dawley 1823-1831. Hugo was ordained a deacon before 1819 and first served as curate at the chapelry of Clive. In 1821 he was the stipendiary curate at Fitz, two years later curate at Dawley and in 1827 became the Rector of Stirchley. He is said to have been a genial and popular rector. Hugo's name is recorded in the first National Census, that of 1841, living here with his wife Maria aged 40 and their two sons, Morwton and Stephen aged 15 and 10 respectively. His occupation is described as a ‘clerk’, a term simply meaning clergyman. 15-year old Elizabeth Morris was their domestic servant. It is thought that his wife Maria died in 1843, and that Hugo remarried shortly afterwards. In 1851 Hugo, aged 55, was living with his second wife, Helen aged 37 and a son, Joseph Garbett Phillips aged 3. They now had two house servants Mary Moseley and Sarah Jones, both local girls and aged 14 and 15 respectively. In 1861 Hugo and Helen are listed with two children, Joseph Garbett Phillips aged 13 and Rosamund Ellen Phillips aged 4 years. Mary Garbett was their domestic servant. She was 10 years old. Is there are family connection here? The 1871 Census records Hugo, now aged 75 living with his wife, Helen and a son named only as J G (Joseph Garbett) Phillips, now aged 23. Previous rectors had rented out the 45½ acres of glebe. Hugo chose to farm the land himself. In 1862 he exchanged 11 acres of glebe lands which were scattered in small parcels around the parish for an 8-acre field near to the church. 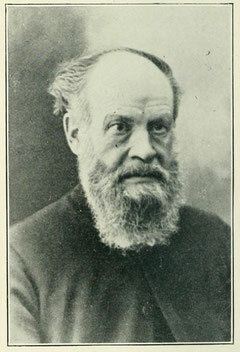 Hugo Moreton Phillips died on 12 October 1877 aged 81. Some of the information above is gleaned from the Clergy of the Church of England Database - http://www.theclergydatabase.org.uk. Go to Database - Dicocese: Coventry & Lichfield - Parish: Stirchley. 1827-1832 John Wood, was awarded his MA at Christ Church Oxford probably in 1824. He was ordained in 1825 and became the assistant curate at Dawley as well as taking on the headmastership of Shifnal Grammar School. In 1827 he was appointed as Stipendiary Curate of Stirchley; in 1832 the Perpetual Curate of Dawley. The tithes were commuted in 1839 to an annual rent charge of £200. In terms of modern purchasing power, this amounts to an income of some £14 000 per annum. 1877-1879 Edward William Stubbs, born in Madeley in 1831, died in post on 19 May 1879 after only two years in office and aged 48. He left a widow, Ellen. His grave is marked in the churchyard. 1879-1893 Charles Mousley born in 1832 at Newborough near Burton-on-Trent is recorded in the 1881 Census, unmarried and with a domestic servant, Mary Cartwright. He had previously been the curate at Mainslee. In the 1891 Census he is recorded aged 58, living at the Rectory now with his 37-year old wife Anne and two young daughters, Mildred and Mary aged 6 and 7. He must have married aged at about the age of 50. 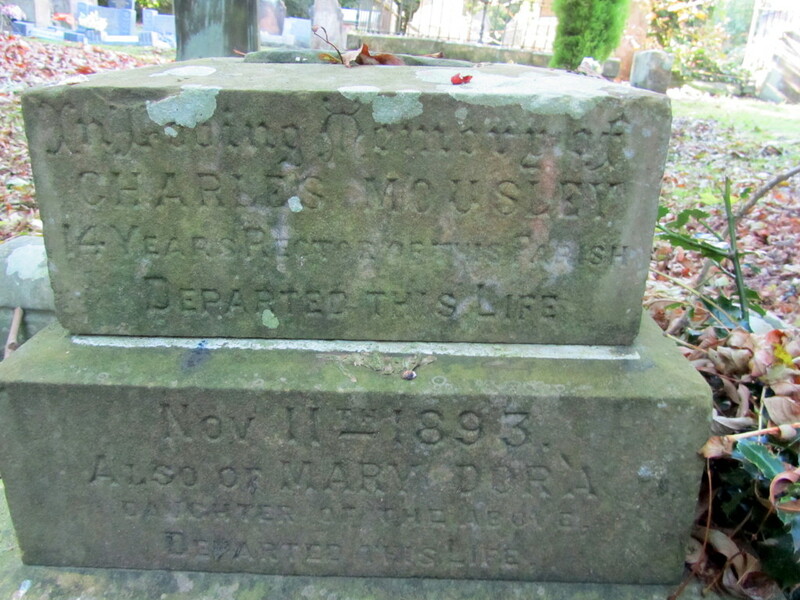 He was 60 when he died in post on 11 November 1893, leaving his widow with the children aged 8 and 9. He is buried in the churchyard. 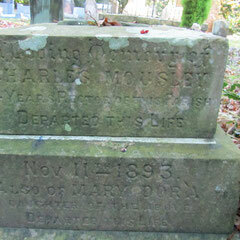 His younger daughter, Mary Dora is buried with him. She died two years after her father on 25 July 1895, aged 11. Also named here is Anne Lee, the wife of Arthur Lee who died in 1927. This is Charles' widow. She had married again shortly after the death of Mary Dora in 1895. Anne went with Mildred to live with her new husband, a jeweller and watch-maker and also widowed, in Wolverhampton. 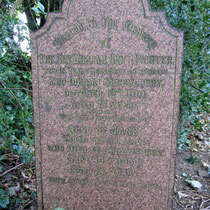 She was 73 when she died and was brought back to Stirchley to be buried with her first husband, Charles Mousey. 1894-1909 William Hunt Painter was born in 1835 in Francis Street, Duddeston, a poor working-class area of inner Birmingham. His father was an ironmonger, later a haberdasher. Before entering the ministry, William was a bank clerk. He trained at Islington Missionary College, with a view to undertaking missionary work abroad. However, he took a curacy in Westmoreland and it was here that he met Rev Robert Wood, who introduced him to botanical studies. 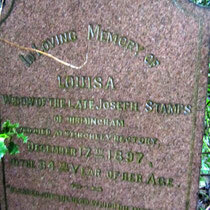 He married his wife, Jane Stamps, also of Birmingham in Kings Norton in 1871. Jane's father was an iron merchant living in Calthorpe Road Edgbaston, still one of Birmingham's desirable addresses. 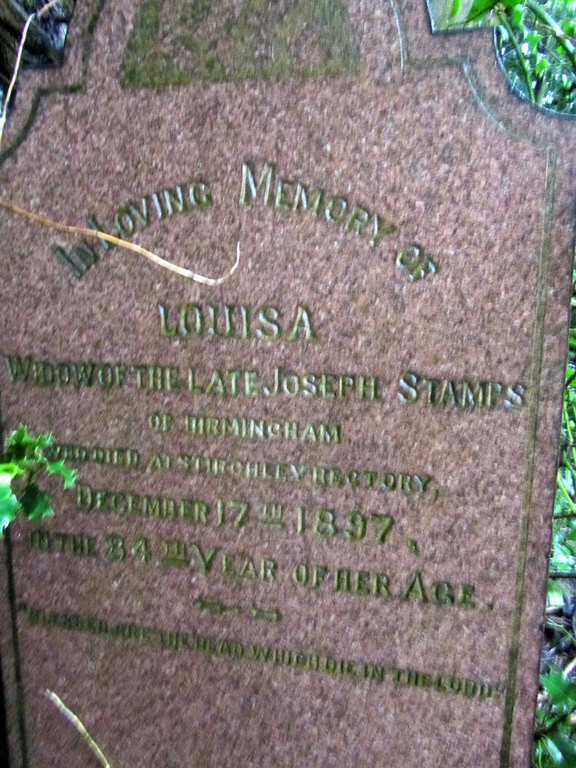 After the death of Jane's father, her mother Louisa Stamps came to live with the couple. She moved to Stirchley Rectory with them on William's appointment and was energetic in Sunday School activities. A tablet in the church commemorates her life 1814-1897. She is buried in the churchyard close to the Rectory wall and next to the grave of William and Jane. William was appointed Rector of Stirchley in 1894. He is recorded in the 1901 Census aged 65 living at the Rectory with his wife and two domestic servants, Agnes Timmins and Emma Evans, both of Madeley and aged in their 30s. He remained until 1909 when, with failing health, he decided to move to Shrewsbury, a town with more accessible medical care. Stirchley at that time was a tiny rural village. 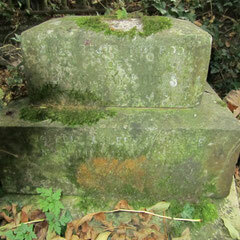 William was a keen amateur botanist and a specialist in the study of mosses. He was an avid collector and a member of the Botanical Exchange Club. His specimens may be found in a number of herbarium repositories, most notably at the University College, Aberystwyth. Click here for more information about William Hunt Painter, botanist. 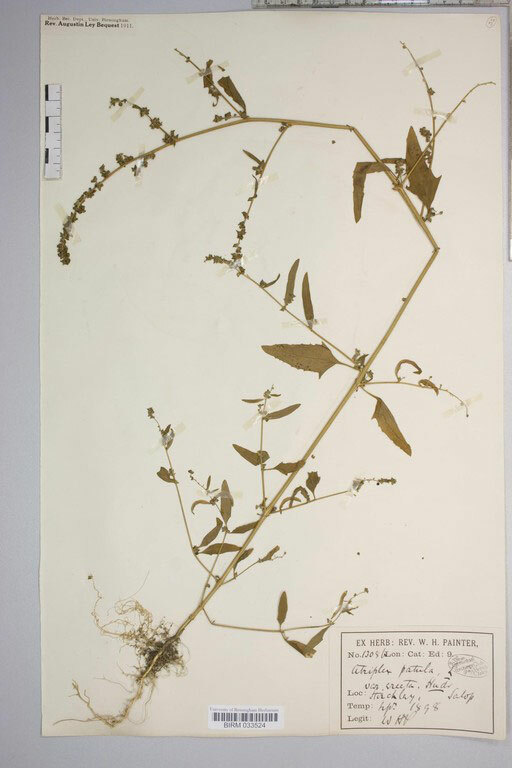 Left: a specimen of Atriplex patula, common orache, collected by William Hunt Painter in 1898 at Stirchley and now at the University of Birmingham. The label is in William's own hand. Sacred to the Memory of the Rev. William Hunt Painter for 15 years Rector of this Parish, during which time he was mainly instrumental in restoring the church and rectory. He fell asleep in Jesus at Shrewsbury, October 12th 1910 aged 75 years. And his remains are interred in this churchyard. This tablet is erected by his parishioners and friends in affectionate remembrance of his faithful and untiring labours for the good of his church and people. 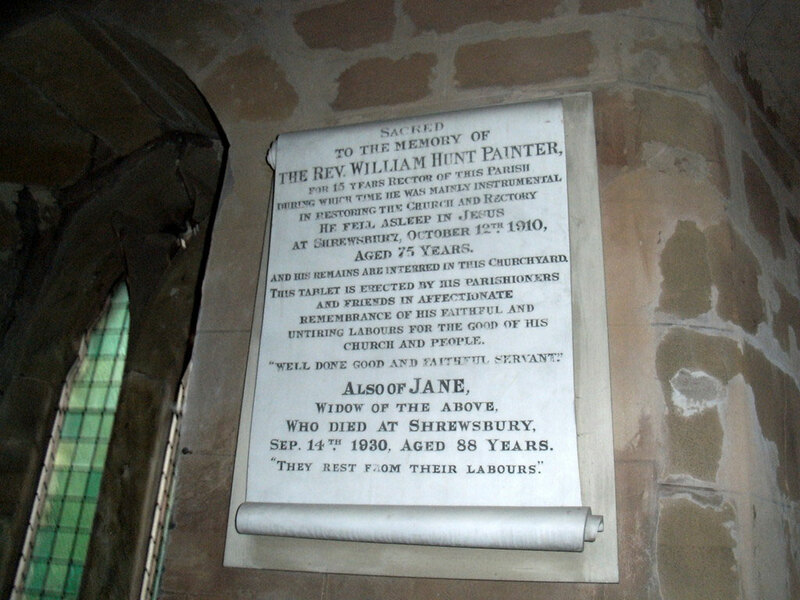 Also of Jane, widow of the above, who died at Shrewsbury, Sep. 14th 1930, aged 88 years. the mother of Jane Painter. During the 18th century, although weekly services were held here, Holy Communion was celebrated only four times a year. However, by 1843 there were two services each Sunday with Communion being celebrated at least once a month. The church choir led the singing accompanied by a bass viol until a harmonium was bought in 1865 during the incumbency of Hugo Moreton Phillips. This was replaced by Rev Penkivil with an organ in 1919. In 1920 all the glebe, except for the rectory and its adjacent yards, was sold to the owner of Stirchley Hall. It is likely that at this date the proceeds went to the Church Commissioners rather than to the rector. In 1949 J W M Finney, the vicar of Shifnal, was instituted as rector. From that time until 1972 Stirchley fell within the care of the vicars of Shifnal. During Finney's incumbency Stirchley was served by a succession of curates, who lived at the rectory until about 1961 when the Church sold the house as a private residence. Between 1972 and the creation of Central Telford parish in 1975, the parish was served by a priest-in-charge, who lived on the new Brookside housing estate. In the very early Saxon period parishes and dioceses in England were coterminous, each bishop residing with his clergy at his Cathedral church. The clergy went forth to distant regions of the diocese, preaching and administering the sacraments. But all tithes and oblations were brought into a common fund for support of the bishop and clergy, repair of churches and other works of piety and devotion. In course of time parochial churches arose, in some places through the liberality of the inhabitants, in other places by the action of the bishops themselves. By the eighth century, it is said, great lords, such as the lords of manors, had begun to build and endow churches for the use of their families and tenants, or friends. Bishops would permit the founder of a church to nominate its resident priest; and, moreover, consented that, contrary to the ancient custom, the use of its income should be restricted to such a church. But as the Bishop's permission was required for the erection of a church, he had to pronounce upon the sufficiency of its endowment unde digne domus Dei sustentaretur (that the house of God should thereby be worthily supported), and the nominee was to be presented to him and approved of by him. The right of presentation constituted an advowson presentative. In those rude ages there followed on this right to nominate, the duty to defend, to become advocatus or advowee, champion or protector of the church of which the patron had named the incumbent. About the year 800 these lay foundations had become common. Moreover, monasteries were often vested with advowsons by act of their founders or benefactors. After the Norman conquest, French or Norman monasteries might hold the advowsons of English parishes. And when at the time of the Reformation the English monasteries were suppressed their advowsons passed with their estates to the lay beneficiaries of the suppression. The parish clergy and church was supported by tithes, rather like a local tax (traditionally, as the etymology of tithe suggests, of ten percent) levied on the personal as well as agricultural output of the parish. In the Anglican Church, a rector is one type of parish priest. Historically, parish priests in the Church of England were divided into rectors, vicars, and perpetual curates. Roughly speaking, the distinction was that the rector directly received both the greater and lesser tithes of his parish, and a vicar received only the lesser tithes (the greater tithes going to the lay holder, or improprietor, of the living); a perpetual curate with a small cure and often aged or infirm received neither greater nor lesser tithes, and received only a small salary (paid sometimes by the diocese). Quite commonly, parishes that had a rector as priest also had glebe lands attached to the parish. The rector was then responsible for the repair of the chancel of his church - the part dedicated to the sacred offices, while the rest of the building was the responsibility of the parish.